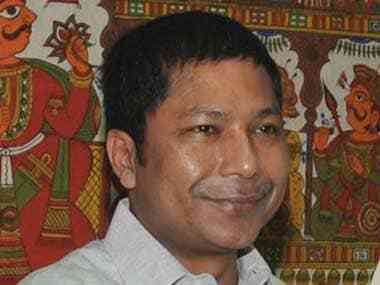 New Delhi/Shillong: Meghalaya chief minister Mukul Sangma on Tuesday urged the Union home ministry to file a case against the Delhi Golf Club for shunting out a woman for wearing a Jainsem, a dress worn by the indigenous Khasi women in the state. The Delhi Golf Club said it had apologised to the member whose guest from Meghalaya was asked to leave the club for wearing a Jainsem and that disciplinary action against the erring staff "is in process". On Sunday, Tailin Lyngdoh, a governess, had gone to the Club along with her employer Nivedita Barthakur after they were invited for lunch by a club member. Some 15-20 minutes into the lunch, two Club officials asked Lyngdoh to leave the table and the Club saying her dress was a "maid's uniform" and also allegedly hurled racial abuse. "We strongly condemned the racial behaviour of the people who do not understand the very spirit of the inclusiveness of this nation," Sangma told IANS in New Delhi. The chief minister, who raised the issue with Minister of State for Home Kiren Rijiju, said such discrimination needs to be condemned by one and all. "I have urged Rijiju to direct Delhi police to file a suo motu case against the Delhi Golf Club for racial abuse. "He (Rijiju) has assured me he will give necessary direction to the Delhi police. All legal options available according to Scheduled Tribe Prevention of Atrocities Act 1989 and more will be taken advantage of so that such behaviour is not repeated," he said. Rijiju said he had told the Delhi police to follow up the case seriously. "Discrimination of any form is not good for India, it must end," he tweeted. The Delhi Golf Club maintained the guests had not been asked to leave the club premises and that "an undesirable attempt" was being made to give the incident a "political and cultural overtone". Barthakur told IANS, "We have not received any apology from them. The apology should be given to Lyngdoh." Barthakur, a London-based medical doctor, said Chief Minister Sangma had spoken to her. "I got a call from him. He said he was very sorry Lyngdoh had to go through this. 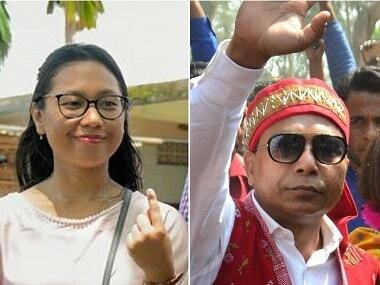 He said he had taken up the matter with the Central government and assured that the Meghalaya government will pursue the matter in a pro-active way," she said. 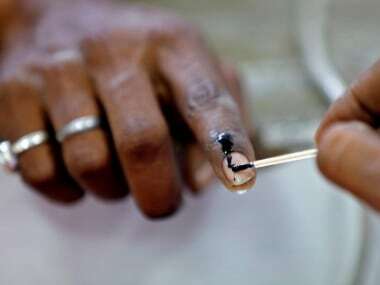 Theilin Phanbuh, Chairperson of the Meghalaya State Commission for Women, condemned the incident and hoped the National Commission for Scheduled Tribes would take up the issue. Meghalaya's powerful Civil Society Women's Organisation has urged the National Commission for Women and the Meghalaya State Women Commission to take note of the "insult" meted out to Lyngdoh. Lyngdoh hails from Meghalaya's Langtor village in Mairaing civil sub-division. "I have travelled almost all over the world and several parts of India and eaten food in the best hotels and clubs. But no one has hurled abuses on me or commented on my dress," she told IANS on Monday.